Here is a natural, holistic approach for removal of spider veins. No lasers or injections needed. If you dislike the appearance of spider veins and sun damage on your legs and body, this therapeutic essential oil protocol can help. Spider veins are dilated superficial blood vessels that are small and close to the skin, they are caused by increased pressure in the veins and loss of the veins collagen and elastin. By correctly combining essential oils and massage, we promote blood flow and increase collagen and elastin of the skin on our legs, and superficial veins themselves. 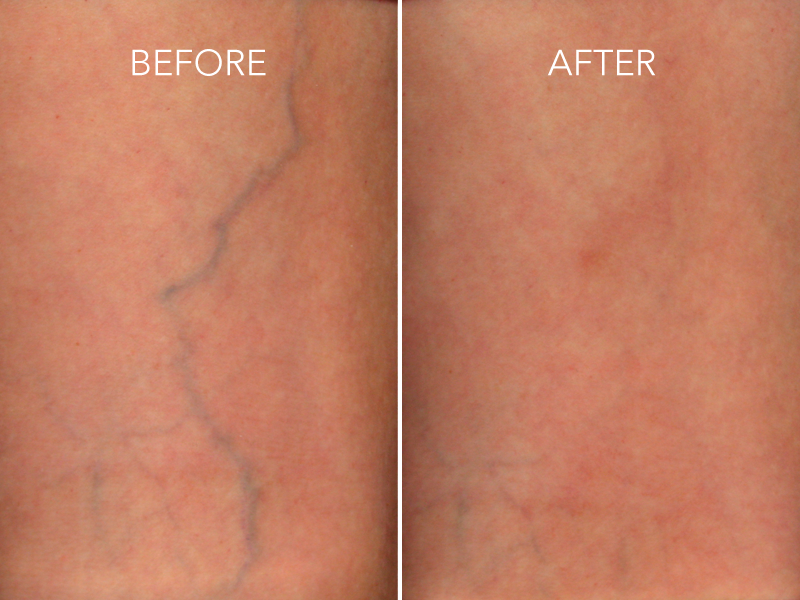 We can safely eliminate little blood clots which cause spider veins. I benefited greatly with the protocol I describe below. For quite a while I have enjoyed running. The problem for me was damage to my legs due to intense pounding while training for marathons and also cumulative sun damage. We all realize too little exercise and lack of circulation can cause spider veins, and as I found out, too much exercise causes inflammation and damage to the veins as well. Not only did I have a few patches of spider veins, I also developed patches of discoloration on my legs due to sun damage. Extra melanin formed on my legs to protect them from the sun. While running during the day I always shield my face and upper body with sunscreen, and this practice plus specific essential oil mixures used on my upper body has worked beautifully. My legs, well it’s difficult to keep organic sunscreen there while sweating profusely. There was not much I could do for both sun damage and damage caused by long distance running and training. Until now! For many months, I have consistently used both Patchouli and Cypress oil on my legs with great success. 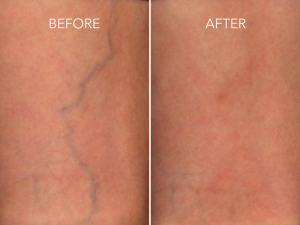 The superficial spider vein damage is gone and the discoloration has also vanished. I simply placed therapeutic grade Patchouli and Cypress essential oil in my hand along with Shea butter. I massaged this powerful essential oil blend onto my legs vigorously and consistently for several minutes each night after my shower. This is the best time for application of the essential oils as the massage, and hot shower increases our circulation. Therapeutic grade Cypress oil is known to increase circulation as well. This circulatory increase allows the blood and debris which formed little blood clots to slowly be eliminated. Increasing collagen and elastin of the superficial veins in our legs with Patchouli oil is very important as with either too little exercise (or too much), plus unhealthy dietary habits, veins may lose their collagen and elastin. With loss of collagen and elastin our veins lose their suppleness becoming brittle. Thereby, encouraging a minute amount of bleeding which often leads to the formation of spider veins. The key to increasing circulation and building collagen and elastin for the elimination of spider veins, skin damage, and discoloration is consistent therapeutic essential oil treatment. I find best results are obtained with daily use of this essential oil protocol. Both Patchouli and Cypress oil also offer powerful anti-inflammatory action. The reduction of inflammation for our veins and skin is very important! Additionally, some people may add essential oil of Frankincense to support healthy DNA repair and also extra anti-inflammatory action. They may also use essential oil of Lemon for increased lightening of skin discoloration due to sun damage. Anointing our whole body with therapeutic grade essential oils, with focus and love enables healing to occur. Give your legs and body this daily attention and within several months notice wonderful health changes! I have many powerful therapeutic essential oil protocols proven to rejuvenate your skin and body. Would you like to learn more? Contact me at the office today to purchase your therapeutic essential oils (407) 628-2176. Having a Certified Aromatherapist and Health Coach guide you on your therapeutic essential oil journey saves you years of research. There is no substitute for pure therapeutic grade essential oils and guidance on their proper use. Using therapeutic grade oils provides true health benefits as they contain the needed chemistry for desired results. Therapeutic essential oil use also eliminates the dangers of oils processed with chemical solvents and other toxins. Always check with your Doctor before beginning a new healthy lifestyle protocol. The information provided is for educational purposes only. It is not intended to treat, diagnose of prescribe.